With the Season 7 premiere of Pretty Little Liars less than two weeks away, we’re on the edge of our seats – especially now that Freeform has released a new poster to get us pumped for what lies ahead. Yet, aside from reminding us to mark our calendars for the June 21st premiere, the poster is also causing us to worry. After all, Hanna is missing. Did you spot it? Hint: Take a look at Alison DiLaurentis (who is played by Sasha Pieterse). If you still can’t spot it, here’s what’s going on: Alison is missing a leg. It looks like someone was so focused on giving her a dark, spooky shadow that they ended up photshopping her leg off. Yet, Freeform isn’t alone in the realm of Photoshop fails. People freaked out after Billboard Magazine published a Photoshop fail involving Fifth Harmony. Lena Dunham even took the time to call out Spanish magazine Tentaciones when they photoshopped her body beyond recognition. And there’s plenty more where that came from. 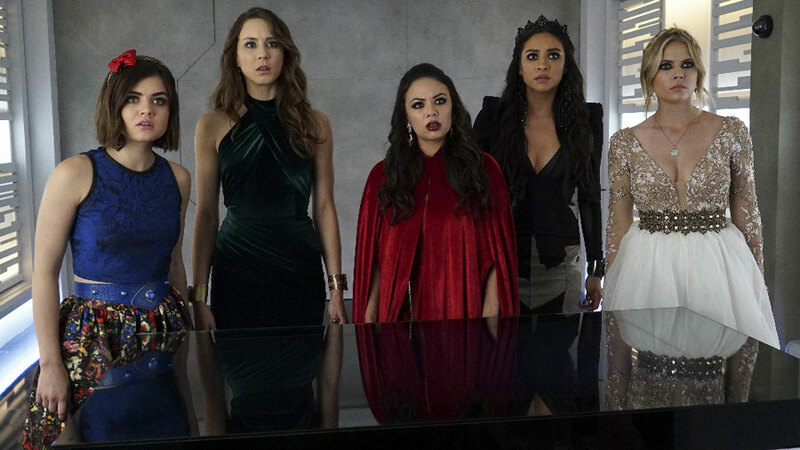 Now, we’re wondering: Where is Hanna? Where is Alison’s leg? Most importantly, are they together?